If you’ve purchased a physical book at Amazon within the last 18 years, you might soon be able to download an eBook of it for free. Today, Amazon introduced Kindle MatchBook, a new feature that allows you to cheaply obtain the digital versions of new print books you purchased on Amazon since the site’s launch in 1995. 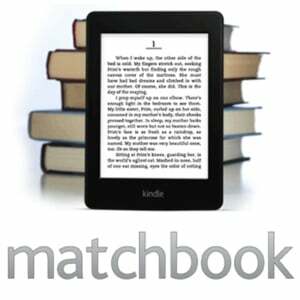 According to the company, Kindle editions purchased through MatchBook will be priced at $2.99, $1.99, $0.99 or free. Not all books have Kindle versions, and not all Kindle versions will participate in MatchBook. Still, Amazon says it will have over 10,000 books available for its October launch. These are unlikely to be current New York Times Best Sellers, but still, there are some solid offerings and classics in the mix. And more books will be added to MatchBook over time as Amazon gets additional publishers on-board. Kindle books can be read using an Amazon Kindle bookreader, or by using a free Kindle reading app for Android or iOS. To learn more about MatchBook, visit the Amazon website.